In the first speech of his presidency before a joint session of Congress, at a critical point in the first 100 days of his presidency, Donald Trump rose to the occasion with an attempt to present a more presidential posture -- but even the speechwriters couldn't hold the Donald back from interjecting his own self-aggrandizement. His opening reference to Black History Month, his condemnation of recent attacks against the Jewish community, and his statement that "we are a country that stands united in condemning hate and evil in all its forms" struck a unifying tone. He was just 5 minutes into the speech, however, before he launched into an almost biblical narrative about the "rebellion" that rose to elect him. While the uplifting delivery was in stark contrast to the usual temperamental tweeter, the substantive references to his policies were a reminder of the reality we are facing. Among the list of "accomplishments" and goals, he announced the creation of an office called VOICE (Victims of Immigration Crime Engagement) under the Department of Homeland Security, which is tasked with serving "American victims" of crimes committed by undocumented immigrants (this was met by audible groans from the chamber). The speech had its moments, however, including the tribute to the widow of fallen Navy Seal Ryan Owen, Carryn Owen, who was in the chamber. Ryan Owen was killed in an intelligence raid in Yemen (which Trump authorized). 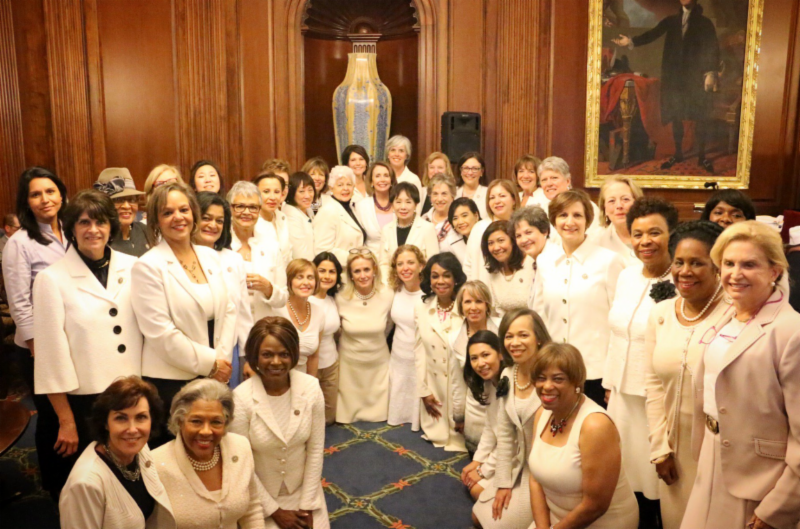 Democratic female Members clad in white as a nod to the suffragette movement, and their male colleagues, remained seated for a majority of the speech -- but rose on the subject of bringing jobs back to America, paid family leave, and infrastructure investment. Rather than list the highlights, we will turn it over to the fact checkers, who have had their work cut out for them in the first 40 days of this administration. Labor Force Statistics "Ninety-four million Americans are out of the labor force." An false claim based on a real number. The Bureau of Labor Statistics' monthly survey, known as the Current Population Survey (CPS), shows that, as of January 2016, 94.4 million Americans 16 years and older were "not in the labor force." This number is calculated by subtracting the 159.7 million people in the labor force from the total noninstitutional US population of 254.1 million people = 94.4 million. The BLS data shows that the 94.4 million consists primarily of retirees, students, stay-at-home parents or the disabled. "My administration wants to work with members of both parties to... promote clean air and clean water"
Going into the speech, Gallup showed Trump's Job Approval rating at 42%, the lowest for a modern US president at this point in his administration. 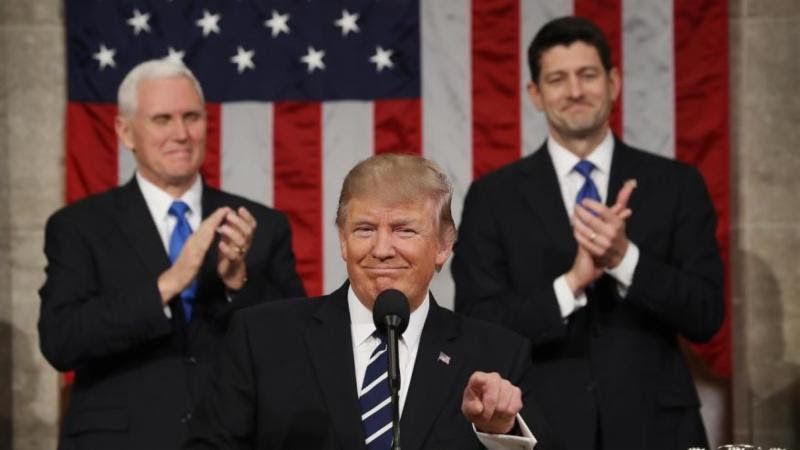 It will be days before we know how the speech may have affected those numbers, but a CNN rapid-response poll following the address showed 7 out of 10 respondents felt "more optimistic about the direction of the country" than they did before the speech. Tomorrow, however, is another day.